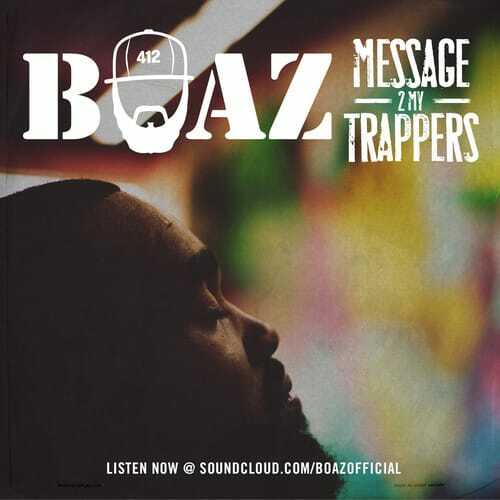 Listen to Boaz's "Message 2 My Trappers"
Pittsburgh rapper Boaz has been riding high on a positive wave of momentum since the release of his album Intuition late last year. Tonight he returns with "Message 2 My Trappers," a cautionary tale to wannabe drug dealers who are "doing it all wrong." Taking Fabolous&apos; "Cinnamon Apple" instrumental for a spin, he switches between a sing song chorus and hard hitting and witty verses. Reminiscing about the days when hustlers had a little more honor and tact when doing their job, Boaz name drops situations such as Bobby Shmurda&apos;s current legal predicament when detailing the difference in street culture in the past to the present. His gravelly voice carries the short but sweet song as he drops some knowledge while still maintaining his cool and collected flow. Listen to "Message 2 My Trappers" below, and purchase Intuition from iTunes here.